Law School starts really soon. I may be slightly freaking out. It's time to get real; I might seem super prepared from what I have depicted on my blog but in truth, I am struggling to get my first-day assignments completed, stressing about what to wear at Orientation and silently questioning what I was thinking by wanting to become a lawyer. A million questions are running through my mind: will I be good at Law School? Will I make the grades? Will I hate it? Can I ever be a good Lawyer? In the midst of my slight anxious breakdown, total frustration with my Contracts book and second-guessing, my husband reminded me of something I had lost sight of: my dreams. I have never wanted to be anything but a Lawyer. It has been the goal of my life for as long as I can remember. As I grew up and learned more about it, the dream grew stronger every day. 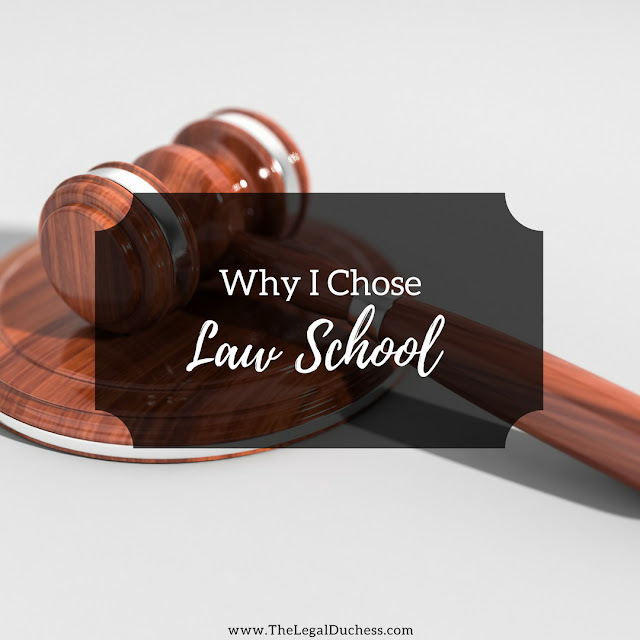 I attended college with direct tunnel vision set on Law School. I got into a Law School with a full tuition scholarship. It seems like all my dreams are playing out perfectly according to plan. However, that is not helping my confidence at all. If anything, it is adding to the stress. I don't have a backup plan; I put all my eggs in this very fragile basket. Everyone is expecting great things; my family can't wait to have the first Lawyer on either side of the family. My friends know this is all I ever wanted and can't wait to see me succeed and rock killer pantsuits while defending murderers just like on TV. My husband wants me to achieve my dreams and begin my career. I have set the expectations so high for myself and I am afraid that I will crash and burn. All these fears and insecurities have left me worrying about Law School and forgetting why I ever wanted to attend in the first place. This is what my super smart hubby reminded me tonight. 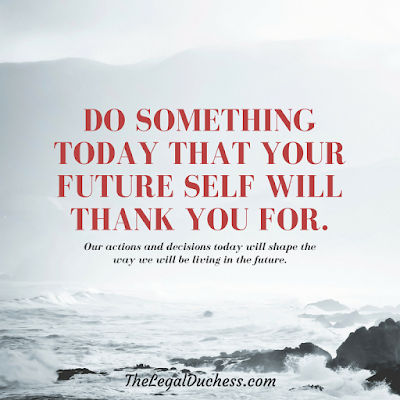 He asked me why I was worrying instead of being excited to start the journey involving my passion for the Law. Oh yeah, my passion for the Law: my drive for justice in all cases no matter how big or how insignificant. My wish to save one innocent life through my legal knowledge or at least provide proper legal counsel to someone guilty beyond the shadow of doubt. My hope that I can prove women can be just as fierce in a courtroom as any man if not more so. My tunnel vision set solely on becoming the best Lawyer I can be. This is what I had lost sight of.... the reason I ever chose to pursue the career of Law. I am so thankful that he reminded me of my true grounding in this career path tonight. I am still scared and nervous but I remember why I chose this... why this is so important to me. I am going to work hard and do my best to be the best Lawyer I can be. It may be enough to succeed and it may not but I will never regret that I did not try my hardest. Time will tell the outcome and life will work out the way it is meant to.... I am sure mountains will rise in my path and it will be hard but it will also be so worth it. Whenever you are feeling down or insecure, just try to remember what made you chose this in the first place. Find strength in your beliefs and your initial passion for the career and pursue it with iron determination. We made it this far, no reason to give up yet. Law School; I am coming at you like Michael Phelps goes for Gold. I am sure it will be one heck of a ride. 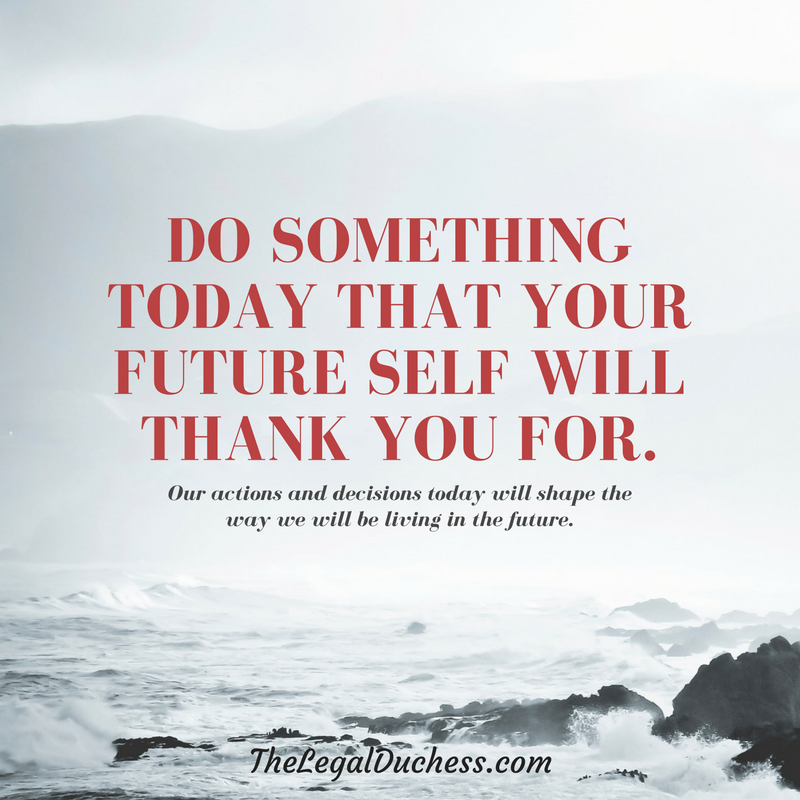 Ending today's post with one of my favorite quotes and something that applies to all of us starting this crazy Law School journey. You are an inspiration. I'm also a law student and your posts are motivating. Keep up the good work!